If your circuit only uses part of a CPLD, you may be able to incorporate input and/or output circuitry inside the CPLD. These parts are in the MaxPlusII libraries. 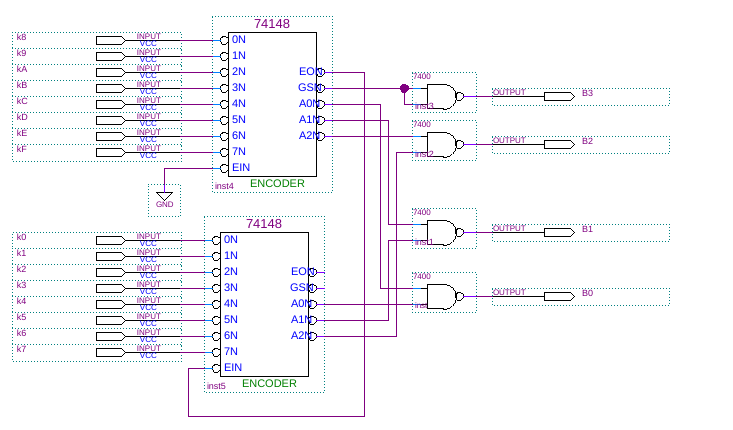 This is easy because different circuits can be inside a single CPLD. Note that different portions do not have to be connected to each other in any way internally. They can be conected outside the CPLD. You could include a keypad encoder. You could include a 7 segment display decoder.